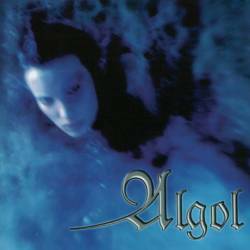 I received this album about 3 years after its release, so I don't know if Algol still follow the same musical vision, so we have to concentrate us on their self-titled debut album. Rather untypical for Americans, you get here Scandinavian-tinged black metal, lots of melodies and keyboards, but also enough muscle to emphasise the word metal. This kind of music is not really that original, and bands like Cradle Of Filth and Dimmu Borgir later on became severely successful, but that doesn't mean that Algol are bad. As a part of the smoldering underground, they certainly made a respectable album, with long songs that leaves them lots of room for different song parts. Still, the different songs always display the same components and therefore suffer from a lack of variety, at times. Algol try to remedy this by inserting mellow intros, outros, and right in the middle of the album, the 11-minutes long instrumental track Exodus, which is explained as being the history of torture inflicted on pagans by Christians. Unfortunately, that song is too mellow for such a long piece, and draws the attention away from the focus. No matter how well this musical journey was intended, it doesn't fulfil its promises. If you program your CD-player to the tracks 2, 3, 5, 6 and 7, you get nearly 37 minutes of solid if not too original melodic black metal. Which also means that you have 22 minutes of meandering instrumentals, blanks and a hidden bonus track. For now I hand out 6 unholy points, with the promise that there are more in my bag once they start focusing on tighter songwriting.